Not to be confused with Thaksin (disambiguation). Taksin the Great (Thai: สมเด็จพระเจ้าตากสินมหาราช, RTGS: Somdet Phra Chao Taksin Maha Rat, listen (help·info)) or the King of Thonburi (Thai: สมเด็จพระเจ้ากรุงธนบุรี, RTGS: Somdet Phra Chao Krung Thon Buri; simplified Chinese: 郑昭; traditional Chinese: 鄭昭; pinyin: Zhèng Zhāo; Teochew: Dên Chao; Vietnamese: Trịnh Quốc Anh 鄭國英) (April 17, 1734 – April 7, 1782) was the only King of the Thonburi Kingdom. He had been an Ekatat servant and then was a leader in the liberation of Siam from Burmese occupation after the Second Fall of Ayutthaya in 1767, and the subsequent unification of Siam after it fell under various warlords. He established the city of Thonburi as the new capital, as the city of Ayutthaya had been almost completely destroyed by the invaders. His reign was characterized by numerous wars; he fought to repel new Burmese invasions and to subjugate the northern Thai kingdom of Lanna, the Laotian principalities, and a threatening Cambodia. Although warfare took up most of Taksin's time, he paid a great deal of attention to politics, administration, economy, and the welfare of the country. He promoted trade and fostered relations with foreign countries including China, Britain, and the Netherlands. He had roads built and canals dug. Apart from restoring and renovating temples, the king attempted to revive literature, and various branches of the arts such as drama, painting, architecture and handicrafts. He also issued regulations for the collection and arrangement of various texts to promote education and religious studies. He was taken in a coup d'etat and executed and succeeded by his long-time friend Maha Ksatriyaseuk who then assumed the throne, founding the Rattanakosin Kingdom and the Chakri dynasty, which has since ruled Thailand. In recognition for what he did for the Thais, he is later awarded the title of Maharaj (The Great). Taksin was born on 17 April 1734 in Ayutthaya. His father, Yong Saetae (Thai: หยง แซ่แต้; Chinese: 鄭鏞 Zhèng Yōng), who worked as a tax-collector, was of Teochew Chinese descent from Chenghai District, Shantou, Guangdong Province, China. His mother, Lady Nok-iang (Thai: นกเอี้ยง), was Thai (and was later awarded the feudal title of Somdet Krom Phra Phithak Thephamat). Impressed by the boy, Chao Phraya Chakri (Mut) (เจ้าพระยาจักรี (หมุด)) who was the Samuhanayok (สมุหนายก Prime Minister) in King Boromakot's reign, adopted him and gave him the Thai name Sin (สิน) meaning money or treasure. When he was seven, Sin was assigned to a monk named Thongdee to begin his education in a Buddhist monastery called Wat Kosawat (Thai: วัดโกษาวาส) (later, Wat Choeng Tha (Thai: วัดเชิงท่า)). After seven years, he was sent by his stepfather to serve as a royal page. He studied Hokkien-Chinese, Vietnamese, and several Indian languages, and became fluent in them. It was the time he learnt Vietnamese, he took his name as "Trịnh Quốc Anh". When Sin and his friend Thong-Duang were Buddhist novices, they reportedly met a Chinese fortune-teller who told them that both had lucky lines in their hands and would both become kings. Neither took it seriously, but Thong-Duang would become the successor of King Taksin, Rama I. After taking the vows of a Buddhist monk for about three years, Sin joined the service of King Ekkathat and was first deputy governor and later governor of Tak, which gained him his name Phraya Tak, the governor of Tak. In 1764, the Burmese army attacked the southern region of Thailand. Led by Muang Maha Noratha, the Burmese army was victorious and marched on to Phetchaburi. Here, the Burmese were confronted by Thai soldiers led by two generals, Kosadhibodhi and Phraya Tak. The Thai army beat the Burmese back to Singkhon Pass. In 1765, when the Burmese attacked Ayutthaya, Phraya Tak defended the capital, for which he was given the title Phraya Vajiraprakarn of Kamphaeng Phet. He did not have a chance to govern Kamphaeng Phet because war broke out again. He was immediately called back to Ayutthaya to protect the city. For more than a year, Thai and Burmese soldiers fought fierce battles at the siege of Ayutthaya. It was during this time that Phraya Vajiraprakarn experienced the setbacks which led him to doubt the value of his endeavours. On 3 January 1766, shortly before Ayutthaya fell on 7 April 1767, he cut his way out of the city at the head of 500 followers to Rayong, on the east coast of Gulf of Thailand. This action was never adequately explained, as the royal compound and Ayutthaya proper was on an island. How Taksin and his followers fought their way out of the Burmese encirclement remains a mystery. He travelled first to Chonburi, a town on the Gulf of Thailand's eastern coast, and then to Rayong, where he raised a small army and his supporters began to address him as Prince Tak. He planned to attack and capture Chantaburi, according to a popular version of oral history, he said, "We are going to attack Chantaburi tonight. Destroy all the food and utensils we have, for we will have our food in Chantaburi tomorrow morning." On 7 April 1767, Ayutthaya fell to the Burmese. After the destruction of Ayutthaya and the death of the Thai king, the country was split into six parts, with Sin controlling the east coast. Together with Tong-Duang, now Chao Phraya Chakri, he eventually managed to drive back the Burmese, defeat his rivals and reunify the country. With his soldiers he moved to Chantaburi, and being rebuffed by the governor of the town, he made a surprise night attack on it and captured it on 15 June 1767, only two months after the sack of Ayutthaya. His army was rapidly increasing in numbers, as men of Chantaburi and Trat, which had not been plundered and depopulated by the Burmese, naturally constituted a suitable base for him to make preparations for the liberation of his motherland. Having thoroughly looted Ayutthaya, the Burmese did not seem to show serious interest in holding the capital of Siam, since they left only a handful of troops under General Suki to control the shattered city. They turned their attention to the north of their own country which was soon threatened with Chinese invasion. On 6 November 1767, having amassed 5,000 troops, Taksin sailed up the Chao Phraya River and seized Thonburi opposite present day Bangkok. He executed the puppet Thai governor, Thong-in, whom the Burmese had placed in charge. He followed up his victory quickly by attacking the main Burmese camp at Phosamton near Ayutthya. The Burmese were defeated, and Taksin won back Ayutthaya from the enemy within seven months of its destruction. Taksin took important steps to show that he was a worthy successor to the throne. He ensured appropriate treatment to the remnants of the ex-royal family, arranged a grand cremation of the remains of Ekkathat, and tackled the problem of establishing the capital. Taksin likely realized that Ayutthaya city had suffered such destruction that to restore it to its former state would have strained his resources. The Burmese were quite familiar with Ayutthaya's vulnerabilities, and in the event of renewal of a Burmese attack on it, the troops under the liberator would be inadequate for effective defence of the city. With these considerations in mind, he established his capital at Thonburi, nearer to the sea than Ayutthaya. Not only would Thonburi be difficult to invade by land, it would also prevent an acquisition of weapons and military supplies by anyone ambitious enough to establish himself as an independent prince further up the Chao Phraya River. As Thonburi was a small town, Prince Tak's available forces, both soldiers and sailors, could man its fortifications, and if he found it impossible to hold it against an enemy attack, he could embark the troops and retreat to Chantaburi. His successes against competitors for power were due to Taksin's abilities as a warrior, his leadership, valor, and effective organization of his forces. Usually he put himself in the front rank in an encounter with the enemy, thus inspiring his men. Among the officials who cast their fate with him during the campaigns for independence and for the elimination of the self-appointed local nobles were two personalities who subsequently played important roles in Thai history. They were the sons of an official bearing the title of Pra Acksonsuntornsmiantra (Thai:พระอักษรสุนทรเสมียนตรา). The elder son was named Tongduang (Thai:ทองด้วง). He was born in 1737 in Ayutthaya and later was to be the founder of the Chakri Dynasty, while the younger one, Boonma (Thai:บุญมา), born six years later, served as his deputy. Tongduang, prior to the sacking of Ayutthaya, was ennobled as Luang Yokkrabat, taking charge of royal surveillance, serving the Governor of Ratchaburi, and Boonma had a court title conferred upon him as Nai Sudchinda. Luang Yokkrabat (Tongduang) was therefore not in Ayutthaya to witness the fall of the city, while Nai Sudchinda (Boonma) made his escape from Ayutthaya. However, while King Taksin was assembling his forces at Chantaburi, Nai Sudchinda brought his retainers to join him, thus helping to increase his fighting strength. Due to his previous acquaintance with him, the liberator was so pleased that he promoted him to be Pra Mahamontri. Just after his coronation, Taksin was fortunate to secure the service of Luang Yokkrabut on the recommendation of Pra Mahamontri (Thai:พระมหามนตรี) and as he was equally familiar with him as with his brother, he raised him to be Pra Rajwarin. Having rendered service to the king during his campaigns or their own expeditions against the enemies, Pra Rajwarin (Thai:พระราชวรินทร์) and Pra Mahamontri rose so quickly in the noble ranks that a few years after, the former was created Chao Phraya Chakri, the rank of the chancellor, while the latter became Chao Phraya Surasih. On 28 December 1767, Taksin was crowned king of Siam at Wang Derm Palace in Thonburi ("Krung Thonburi Sri Maha Samut"), the new capital of Siam, yet had Siam official documents still used the official name of "Krung Pra Maha Nakhon Sri Ayutthaya" He assumed the official name of "Boromraja IV" and "Phra Sri Sanphet", but is known to Thai history as King Taksin, a combination of his popular name, "Phya Tak", and his first name, "Sin", or the King of Thonburi. At the time of his coronation, he was only 34 years of age. W. A. R. Wood (1924) observed that Taksin's father was Chinese or partly Chinese, and his mother Siamese, and he said, "He believed that even the forces of nature were under his control when he was destined to succeeded, and this faith led him to attempt and achieve tasks which to another man would seem impossible. Like Napoleon III, he was a man of destiny." The king elected not return to Ayutthaya but instead to make his capital at Thonburi, which being only 20 kilometers from the sea, was much better suited to seaborne commerce, but he never had time to build it into a great city, as he was occupied with suppression of internal and external enemies, as well as territorial expansion throughout his reign. After the sacking of Ayutthaya the country had fallen apart, due to the disappearance of central authority. Rivals occupied the vacuum. Prince Teppipit (Kaek), Boromakot's son, who had been unsuccessful in a diversionary action against the Burmese in 1766, had set himself up as the ruler of Phimai holding sway over the eastern provinces including Nakhon Ratchasima or Khorat. The Governor of Phitsanulok, whose first name was Ruang (Thai:เรือง), had proclaimed himself independent, with the territory under his control extending to Nakhon Sawan. North of Phitsanulok was the town of Sawangburi (known as Chao Pra Fang (Thai:เจ้าพระฝาง) in Uttaradit Province), where a Buddhist monk named Ruang had made himself a prince, appointing fellow monks as army commanders. He had himself pursued Buddhist studies at Ayutthaya with such excellent results that he had been appointed chief monk of Sawangburi by Boromakot. In the southern provinces north to Chumphon, a Pra Palad, the acting governor of Nakhon Si Thammarat, declared his independence and raised himself to princely rank. Having firmly established his power at Thonburi, Taksin set out reunify the old kingdom by crushing his regional rivals. After being repulsed by the Governor of Phitsanulok, he concentrated on the defeat of the weakest one first. Teppipit was quelled and executed in 1768. Chao Narasuriyawongse, one of Taksin's nephews, replaced him as governor. Taksin led an expedition against him and took Phimai. The prince disappeared and could not be found again. In 1769, Phraya Chakri (later Rama I), Taksin’s servant, attacked Nakhon Sri Thammarat, but got bogged down at Chaiya. Taksin sent his army to help capturing Nakhon Si Thammarat and finally won. In dealing with the Prince of Nakhon Si Thammarat, who was taken prisoner by the loyal governor of Pattani, the ping not only pardoned him but also favoured him with a residence at Thonburi. 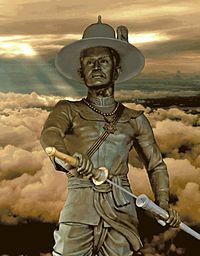 In 1770, Taksin’s army attacked Chao Phra Fang's group (Ruan), in control of Phitsanulok and Uttaradit, and was victorious. He had reunified Siam as one kingdom. Hsinbyushin of Burma had never abandoned his plan to force Siam to its knees, and as soon as he had been informed of the foundation of Thonburi as Taksin's capital, he commanded the Governor of Tavoy to subjugate him in 1767. The Burmese Army advanced to the district of Bangkung in the province of Samut Songkram to the west of the new capital, but was routed by the Thai king. When Chinese troops invaded Burma, Hsinbyushin was forced to recall most of his troops back to resist the Chinese. After peace was concluded with China, the Burmese king sent another small army of 5,000 to attack Siam in 1774. But it was completely surrounded by the Thais at Bangkeo in Ratchaburi, and eventually starvation compelled the Burmese to capitulate to Taksin. He could have massacred all of them had he wished to do so, but he took them alive to promote the morale of the Thai people. Burmese reinforcements in Kanchanaburi were then mopped up. Undaunted by this defeat, Hsinbyushin tried again to conquer Siam, and in October 1775 the greatest Burmese invasion in the Thonburi period began under Maha Thiha Thura, known in Thai history as Azaewunky. He had distinguished himself as a first rate general in the wars with China and in the suppression of a recent Peguan rising. After crossing the Thai frontier at Melamao Pass, the Burmese marched towards Phitsanulok, capturing Phichai and Sukhothai on the way. In his interrogation of two Phichai officials, Azaewunky referred to Chao Phraya Surasih, the Governor of Phitsanulok, as "Phraya Sua" or "The Tiger", thus testifying to his boldness and decisiveness. The Burmese then besieged Phitsanulok which was defended by the brother generals, Chao Phraya Chakri and Chao Phya Surasih. The resistance of the Thai soldiers halted the Burmese outside the city ramparts for about four months. Hearing about Chao Phraya Chakri's counterattacks which drove back the Burmese to their well fortified camp, Azaewunky arranged a meeting with him, in the course of which he extolled his generalship and advised him to take good care of himself. He prophesied that General Chakri would certainly become king. If Azaewunky's purpose was to sow discord between King Taksin and Chao Phraya Chakri, he failed, as they collaborated closely in subsequent military expeditions. In spite of Taksin's endeavour to attack the Burmese from the rear, Chao Phraya Chakri and Chao Phraya Surasih could not hold Phitsanulok any longer, due to lack of provisions. Having collected most of the inhabitants, they successfully fought their way through enemy lines and made Phetchabun their headquarters. Azaewunky led his army into the deserted city at the end of March 1776, but was soon confronted with shortages of food. At this juncture he was instructed by the new Burmese King, Singu Min or Chingkucha (1776–1782) to evacuate Thai territory. So Azaewunky's army left Siam, but the remnants of the Burmese forces continued the war until they were pushed out of the country in September of that year. In Taksin's opinion, so long as Chiang Mai was ruled by the Burmese, the north of Siam would be constantly subjected to their incursions. A prerequisite for the maintenance of peace in that region would therefore be the complete expulsion of the Burmese from Chiang Mai. In 1771, the Burmese governor of that city moved his army southwards and laid siege to Phichai, but he was driven out. Taksin followed the Burmese with a view to studying their strength. His army was not prepared for a direct assault on their city fortress. After meeting with stubborn resistance, he retired, presumably believing in an ancient prophesy to the effect that two attempts were required for the capture of Chiang Mai. King Narairaja had tried twice to seize it before it fell into his hands. The Burmese failure to take Phichai formed a prelude to Taksin's second expedition to Chiang Mai. In 1773, a Burmese army which threatened Phichai was drawn into an ambush and was routed. Phraya Phichai, the Phichai Governor, engaged the Burmese in a hand-to-hand fight until his two long swords were broken, winning him the name "Broken Sword." When a Thai army under the command of Chao Phraya Chakri and Chao Phraya Surasih reached Lampang, Phraya Chaban and Phraya Kawila, two officials who had deserted the Burmese joined him in laying siege to Chiang Mai. King Taksin soon joined them. The city fell to the Thai armies in January 1775, but the Burmese governor and the commander managed to escape with their families. Before his departure for Thonburi, the king conferred honours and distinction on those who had contributed to success of his campaign. Phraya Chaban was made Governor of Chiang Mai with the title of Phraya Wichienprakarn, while Phraya Kawila and Phraya Waiwongsa governed Lampang and Lamphun respectively. Chao Phraya Chakri was directed to prolong his stay in order to assist them in the pacification of the north, which included the Lao states. The Burmese King considered that as the Lao states constituted his base for the maintenance of Burmese power in the territory further east, namely, Luang Prabang and Vientiane, Chiang Mai must be retaken, and so a Burmese army of 6,000 men was sent there in 1776. The Burmese entered the city, but were forced out by a Thai army under Chao Phraya Surasih which had marched to its relief. Chiang Mai had suffered from the recent campaigns. Its population was greatly reduced and impoverished, and in the event of a new Burmese attack, it could not defend itself. King Taksin abandoned the city and its remaining inhabitants were transplanted to Lampang. Chiang Mai thus became a deserted city and remained so for fifteen years. Over the next few years, Taksin managed to gain control over Chiang Mai, and put Cambodia under the vassalage of Siam by 1779 after repeated military campaigns. In 1769, Cambodia was in turmoil again, due to the rivalry for the throne by two royal brothers. The elder brother was King Ramraja (Non). Having suffered defeat at the hands of his brother (Ton) who was aided by Vietnamese troops, he sought shelter in Siam. Prince Ton proclaimed himself as King Narairaja. This struggle afforded an opportunity to King Taksin to resuscitate Thai suzerainty over Cambodia as in the days of Ayutthaya. An army was dispatched to assist ex-King Ramraja regain his power, but met with no success. The annexation of Champasak indirectly led Taksin to send an expedition against Vientiane. In 1777, the ruler of Champasak, which was at that time an independent principality bordering the Thai eastern frontier, supported the Governor of Nangrong, who had rebelled against the Thai king. The Thai army under Chao Phraya Chakri was ordered to move against the rebel, who was caught and executed. Having received reinforcements under Chao Phraya Surasih, he advanced to Champasak, where the rulers, Chao O and his deputy, were captured and summarily beheaded. Champasak was added to the Kingdom of Siam, and Taksin was so pleased with Chao Phraya Chakri's conduct of the campaign that he promoted him to Somdej Chao Phraya Mahakasatsuek Piluekmahima Tuknakara Ra-adet (Thai:สมเด็จเจ้าพระยามหากษัตริย์ศึก พิลึกมหึมาทุกนคราระอาเดช) (meaning the supreme Chao Phraya, Great Warrior-King who was so remarkably powerful that every city was afraid of his might)—the highest title of nobility that a commoner could achieve. It was equivalent to the rank of a royal duke. In 1770, Taksin launched a war against the Vietnamese Nguyễn Lords over their occupation of Cambodia. Vietnamese sources reported that the aim of Taksin in attacking Cambodia was to uproot the remnants of Ayutthaya royal 'remnants' taking refuge in that kingdom. It was reported that there were two Ayutthaya princes escaped to foreign countries: prince Chao Sisang (เจ้าศรีสังข์, son of Thammathibet) fled to Cambodia; prince Chao Chui (เจ้าจุ้ย, son of Prince Aphai, grandson of Thai Sa) fled to Hà Tiên, and was sheltered by Mạc Thiên Tứ, the governor of Hà Tiên, Vietnam. After some initial defeats, the joint Siamese-Cambodian army defeated the Nguyễn army in 1771 and 1772, won back the Cambodian throne for Ramraja. These defeats helped provoke an internal rebellion (the Tây Sơn rebellion) which would soon sweep the Nguyễn out of power. In 1773, Nguyễn lord made peace with King Taksin, giving back some land they controlled in Cambodia. King Taksin invaded Hà Tiên in 1771, and captured it. Mạc Thiên Tứ fled to Gia Định (modern Ho Chi Minh City). In there, he was sheltered by Nguyễn lord. Taksin appointed Phraya Phiphit (Khun Phiphit Wathi, Trần Liên), a Chinese Teochiu, as the new governor of Hà Tiên. Tứ had to stay in Gia Định for two years. He had no chance to return until Nguyễn lord reached an accommodation with Siam in 1773. Not long after Siamese army withdrew from Hà Tiên, and Mạc Thiên Tứ retook his principality. However, after Tây Sơn rebellion broke out, King Taksin gave shelter to Vietnamese refugees, mostly were mandarins and generals of Nguyễn lords, though he had conflicted with Vietnamese in Cambodia before. One of these refugees was Mạc Thiên Tứ, the former governor of Hà Tiên, who was awarded the Siamese rank and title Phraya Rachasethi Yuan by King Taksin. Nguyễn Ánh tried to seek alliance with Siam after his ascension the Nguyễn lord throne, however, Nguyễn Huệ, an important Tây Sơn general, sowed dissension among them. King Taksin executed several Vietnamese refugees, and exiled the rest to distant borders. Later, Siamese and Vietnamese Nguyễn army conflicted in Cambodia again. King Ramraja won back the Cambodian throne with the help of Thai forces in 1771, but he retreated to the east of the country. In the end, Ramraja and Narairaja came to a compromise, whereby the former became the first king and the latter was the second king or Maha Uparayoj, and Prince Tam was Maha Uparat or deputy to the first and the second king. This arrangement proved to be unsatisfactory. Prince Tam was murdered, while the second king died suddenly. Believing that King Ramraja was responsible for their deaths, many prominent officials under the leadership of Prince Talaha (Mu) (Khmer: ចៅហ្វ៊ាមូ, Thai: เจ้าฟ้าทะละหะ (มู)) revolted, caught him and drowned him in the river in 1780. Prince Talaha put Prince Ang Eng, the four-year-old son of the ex-King Narairaja, on the throne with himself acting as Regent, but he soon leaned too much Vietnam, thus coming into conflict with Taksin's policy of supporting a pro-Thai prince on the Cambodian throne. The Thai king therefore decided on an invasion of Cambodia. A Thai army of 20,000 under Somdej Chao Phraya Mahakasatsuek moved into Cambodia, and in the event of his success in subduing the country, he was to assist in crowning Taksin's son, Prince Intarapitak, as King of Cambodia. With the aid of a Vietnamese army, Prince Talana was prepared to take his stand against the Thai forces at Phnom Penh, but before any fighting started, serious disturbances which had broken out in Siam made Somdej Chao Phraya Mahakasatsuek decide on a hasty return to Thonburi, after handing the command of the army to Chao Phraya Surasih. In Vientiane, a Minister of State, Pra Woh, had rebelled against the ruling prince and fled to the Champasak territory, where he set himself up at Donmotdang near the present city of Ubon. He made a formal submission to Siam when he annexed Champasak, but after the withdrawal of the Thai army, he was attacked and killed by troops from Vientiane. This action was instantly regarded by King Taksin as a great insult to him, and at his command, Somdej Chao Phya Mahakasatsuek invaded Vientiane with an army of 20,000 men in 1778. Laos had been separated into the two principalities of Luang Prabang and Vientiane since the beginning of the 18th century. The Prince of Luang Prabang, who was at odds with the Prince of Vientiane, submitted to Siam for his own safety, bringing his men to join Somdej Chao Phya Mahakasatsuek in besieging Vientiane. After a siege of Vientiane which took about four months, the Thais took Vientiane and carried off the images of Emerald Buddha and Phra Bang to Thonburi. The Prince of Vientiane managed to escape and went into exile. Thus Luang Prabang and Vientiane became Thai dependencies. Nothing definite is known about the origin of the celebrated Emerald Buddha. It is believed that this image was carved from green jasper by an artist or artists in northern India about two thousand years ago. It was taken to Ceylon and then to Chiang Rai, a town in the north of Siam where it was, in 1434, found intact in a chedi which had been struck by lightning. As an object of great veneration among Thai Buddhists, it has been deposited in monasteries in Lampang, Chiang Mai, Luang Prabang, Vientiane, Thonburi, and eventually in Bangkok. King Taksin's painting from National Museum of Rome. When Taksin established Thonburi as his capital, people were living in abject poverty, and food and clothing were scarce. The king was well aware of the plight of his subjects, so in order to legitimize his claim for the kingdom, he made economic problems his priority. He paid high prices for rice from his own money to induce foreign traders to bring in adequate amounts of basic necessities to satisfy the need of the people. He then distributed rice and clothing to all his starving subjects. People who had been dispersed came back to their homes. Normalcy was restored. The economy of the country gradually recovered. Taksin sent three diplomatic envoys to China in 1767, which then was under the reign of Qianlong Emperor of Qing dynasty. In the first year of his reign, Qing dynasty denied his envoys due to him not being an Heir apparent from Ban Phlu Luang dynasty and the two Princes, Chui and Sisang, were political Asylum seekers in Hà Tiên. Six years later, China recognized Taksin as the legitimate ruler of Siam in 1772. Thai galleons travelled to Portuguese colony of Surat, in Goa, India. However, formal diplomatic relations were not formed. In 1776, Francis Light of the Kingdom of Great Britain sent 1,400 flintlocks along with other goods as gifts to Taksin. Later, Thonburi ordered some guns from England. Royal letters were exchanged and in 1777, George Stratton, the Viceroy of Madras, sent a gold scabbard decorated with gems to Taksin. In 1770, natives of Terengganu and Jakarta presented Taksin with 2,200 shotguns. At that time, the Dutch Republic controlled the Java Islands. Simultaneously Taksin was deeply engaged in restoring law and order in the kingdom and administering a public welfare programme. Abuses in the Buddhist establishment and among the public were duly rectified and food and clothing and other necessities were distributed to those in need. Taksin was interested in art, including dance and drama. There is evidence that when he went to suppress the Chao Nakhon Si Thammarat faction in 1769, he brought back Chao Nakhon's female dancers. Together with dancers that he had assembled from other places, they trained and set up a royal troupe in Thonburi on the Ayutthaya model. The king wrote four episodes from the Ramakian for the royal troupe to rehearse and perform. When he went north to suppress the Phra Fang faction, he could see that monks in the north were lax and undisciplined. He invited ecclesiastical dignitaries from the capital to teach those monks and brought them back in line with the main teachings of Buddhism. Even though Taksin had applied himself to reforming the Buddhist religion after its period of decline following the loss of Ayutthaya to Burma, gradually bringing it back to the normalcy it enjoyed during the Ayutthaya kingdom, since his reign was so brief he was not able to do very much. The administration of the Sangha during the Thonburi period followed the model established in Ayutthaya, and he allowed French missionaries to enter Thailand, and like a previous Thai king, helped them build a church in 1780. When Ayutthaya fell to the Burmese in 1767, Thai and Chinese sources mentioned that Taksin, then the lord of Tak, broke the Burmese siege and led his troops to Chantaburi. During those years, Chinese Empire was into border conflicts with Konbaung Burma. The Burmese invasion into Siam became the warning for Chinese Empire. Taksin, then, sent a tributary mission to require the royal seal, claiming that the throne of Ayutthaya Kingdom had come to an end. However, his attemption was hindered by Mạc Thiên Tứ (Mo Shilin), the governor of Hà Tiên, whom had through knowledge of Chinese diplomatic practices and alleged that Taksin was a usurper. Tứ also offered shelter to Prince Chao Chui, a Ayutthaya prince. Chinese Court could not help but seize the chance by asking Taksin, as a 'new vassal', to be her ally in the war against the Burmese. Eventually Chinese Court approved the royal status of Taksin as the new king of Siam. A considerable contribution to his success came from the Teochiu Chinese trading community of the region, on whom Taksin was able to call by virture of his paternal relations; he is said to be half-Teochiu himself. In the short run, the Chinese trade provided the foodstuffs and goods needed for the warfare that enabled Taksin to build up his fledgling state. In the long run, it produced income that could be used "to defray the expenses of the state and for the upkeep of the individual royal, noble, and wealthy commercial families." "Taksin showed his generous spirit. The needy were destitute no longer. The public treasury was opened for the relief. In return for cash, foreigners supplied them with the products that the soil of the country had refused. The Usurper [Taksin] justified his claim [to be king] by his benevolence. Abuses were reformed, the safety of property and persons was restored, but the greatest severity was shown to malefactors. Legal enactments at which no one complained were substituted for the arbitrary power that sooner or later is the cause of rebellions. By the assurance of public peace he was able to consolidate his position and no one who shared in the general prosperity could lay claim to the throne." A tomb containing Taksin's clothes and a family shrine were found at Chenghai district in Guangdong province in China in 1921. It is believed that a descendant of Taksin must have sent his clothes to be buried there to conform to Chinese practice. This supports the claim that the place was his father's hometown. Chinese people called it "Tomb of King Zhèng" (郑王墓), or its official name "Clothes Tomb of Zhèng Xìn" (郑信衣冠墓). It had be included in the list of Historical and Cultural Sites Protected at Chenghai District (澄海区文物保护单位) since December 5, 1984. Princess Sirindhorn had visited the tomb in 1998. Now the nearby area is opened to the public as Zheng Emperor Taksin Park (郑皇达信公园). Thai historians indicate that the strain on him took its toll, and the king started to become a religious fanatic. In 1781 Taksin showed increasing signs of mental trouble. He believed himself to be a future Buddha, expecting to change the colour of his blood from red to white. As he started practising meditation, he even gave lectures to the monks. More seriously, he was provoking schism in Siamese Buddhism by requiring that the monkhood should recognize him as a sotāpanna or "stream-winner"—a person who has embarked on the first of the four stages of enlightenment. Monks who refused to bow to Taksin and worship him as god were demoted in status, and hundreds who refused to worship him as such were flogged and sentenced to menial labor. Economic tension caused by war was serious. As famine spread, looting and crimes were widespread. Corrupt officials were reportedly abundant. According to some sources, many oppressions and abuses made by officials were reported. King Taksin punished them harshly, torturing and executing high officials. Discontent among officials could be expected. "For some years, the King of Siam has tremendously vexed his subjects and the foreigners who dwelt in or came to trade in his kingdom. Last year (1781) the Chinese, who were accustomed to trade, found themselves obliged almost to give it up entirely . This past year the vexations caused by this King, more than half-mad, have become more frequent and more cruel than previously. He has had imprisoned, tortured, and flogged, according to his caprice, his wife, his sons faction— even the heir-presumptive, and his high officials. He wanted to make them confess to crimes of which they were innocent." Thus the terms 'insanity' or 'madness' possibly were the contemporary definition describing the monarch's actions: according to the following Rattanakosin era accounts, King Taksin was described as 'insane.' However, with the Burmese threat still prevalent a strong ruler was needed on the throne. Finally a faction led by Phraya San (or Phraya Sun) seized the capital. A coup d'état removing Taksin from the throne consequently took place, Phraya San attacked Thonburi and took control within one night. King Taksin surrendered to the rebels without resistance, and requested to be allowed to join the monkhood in Wat Chaeng. However, the disturbance in Thonburi widely spread, with killing and looting prevalent. When the coup occurred, General Chao Phraya Chakri was away fighting in Cambodia, but he quickly returned to the Thai capital following being informed of the coup. Upon having arrived at the capital, the General extinguished the coup through arrests, investigations and punishments. Peace was then restored in the capital. According to the Royal Thai Chronicles, General Chao Phraya Chakri decided to put the deposed Taksin to death. Chao Phraya Chakri thought that the deposed king acted improperly and unjustly, which had caused great pain for the kingdom; so, it was unavoidable that he be executed. The Chronicles stated that, while being taken to the executing venue, Taksin asked for an audience with General Chao Phraya Chakri but was turned down by the General. Taksin was beheaded in front of Wichai Prasit fortress on Wednesday, April 10, 1782, and his body was buried at Wat Bang Yi Ruea Tai. then seized control of the capital and declared himself king together with establishing the House of Chakri. An alternative account (by the Official Vietnamese Chronicles) states that Taksin was ordered to be executed in the traditional siamese way by General Chao Phraya Chakri at Wat Chaeng: by being sealed in a velvet sack and beaten to death with a scented sandalwood club. There was an account claiming that Taksin was secretly sent to a palace located in the remote mountains of Nakhon Si Thammarat where he lived until 1825, and that a substitute was beaten to death in his place. King Taksin's ashes and those of his wife are located at Wat Intharam (located in Thonburi). They have been placed in two lotus bud shaped stupas which stand before the old hall. It was not clear what role General Chakri played in the coup. Vietnamese royal records reported that King Taksin had some kind of psychosis in final years; he imprisoned Chakri and Surasi's family. It made the brothers resentful, so they made friends with two Vietnamese generals, Nguyễn Hữu Thoại (阮有瑞) and Hồ Văn Lân (胡文璘). Four generals swore to help with each other in need. Not long after the coup occurred. Chakri quickly returned to the capital, put down the rebellion and had Taksin killed. Some Vietnamese sources stated that Taksin was assassinated by General Chakri, others stated that he was sentenced to death and executed in public place. Phraya San also died in this incident. Another contradicting view of the events is that General Chakri actually wanted to be King and had accused King Taksin of being Chinese. The late history was aimed at legitimizing the new monarch, Phraya Chakri or Rama I of Rattanakosin. According to Nidhi Eoseewong, a prominent Thai historian, writer, and political commentator, Taksin could be seen as the originator, new style of leader, promoting the 'decentralized' kingdom and new generation of the nobles, of Chinese merchants-origin, his major helpers in the wars. On the other hand, Phraya Chakri and his supporters were of 'old' generation of the Ayutthaya nobles, discontent with the previously said changes. However, this overlooks the fact that Chao Phraya Chakri was himself of partly Chinese origin as well as he himself being married to one of Taksin's daughters. No previous conflicts between them were mentioned in histories. Reports on the conflicts between the king and the Chinese merchants were seen caused by the control of the rice price in the time of famine. However, prior to returning to Thonburi, Chao Phraya Chakri had Taksin's son summoned to Cambodia and executed. All in all, Phraya Chakri was, in fact, the highest noble in the kingdom, charging the state affairs as the Chancellor. Therefore, he was of the greatest potential to be the new leader. Another view of the events is that Thailand owed China for millions of baht. In order to cancel the agreement between China and Thailand, King Taksin decided to ordain and pretend to die in an execution. However, according to Chinese records, Rama I managed to disguise his real relationship with Taksin; in diplomacy to China, Rama I claimed to be a son of Taksin using an assumed name Zheng Hua (鄭華), aiming to prove that he was the legal heir to Siamese throne. King Taksin was seen by some radical historians as a King who differed from the Kings of Ayutthaya, in his origins, his policies, and his leadership style, as a representative of a new class. During the Bangkok Period right up till the Siamese Revolution of 1932 King Taksin was, said, not as highly honoured as other Siamese Kings because the leaders in the Chakri Dynasty were still concerned about their own political legitimacy. After 1932, when the absolute monarchy gave way to the democratic period, King Taksin become more honoured than ever before. Instead, King Taksin became one of the national heroes. This was because the leaders of that time such as Plaek Pibulsonggram and even later military junta, on the other hand, wanted to glorify and publicise the stories of certain historical figures in the past in order to support their own policy of nationalism, expansionism and patriotism. King Taksin statue was unveiled in the middle of Wongwian Yai (the Big Traffic Circle) in Thonburi, at the intersection of Prajadhipok/Inthara Phithak/Lat Ya/Somdet Phra Chao Taksin Roads. The king is portrayed with his right hand holding a sword, measuring approximately 9 metres in height from his horse's feet to the spire of his hat, rests on a reinforced concrete pedestal of 8.90 × 1.80 × 3.90 metres. There are four frames of stucco relief on the two sides of the pedestal. The opening ceremony of this monument was held on April 17, 1954 and the royal homage-paying fair takes place annually on December 28. The king today officially comes to pay respect to King Taksin statue. The monument featuring King Taksin riding on a horseback surrounded by his four trusted soldiers; Pra Chiang-ngen (later Phraya Sukhothai), Luang Pichai-asa (later Phraya Phichai), Luang Prom-sena, Luang Raj-saneha. It is placed on the groung of Toong na-chey public park on Leab muang road, just opposite the City Hall, Chantaburi. In 1981 the Thai cabinet passed a resolution to bestow on King Taksin the honorary title of the Great. With the intention of glorifying Thai monarchs in history who have been revered and honored with the title The Great, the Bank of Thailand issued the 12th Series of banknotes, called The Great Series, in three denominations: 10, 20 and 100 Baht. The monument of King Taksin the Great in Chanthaburi's Tungnachaey recreational park appears on the back of the 20-Baht note issued December 28, 1981. The date of his coronation, December 28, is the official day of homage to King Taksin, although it is not designated as a public holiday. The Maw Sukha Association on January 31, 1999, cast the King Taksin Savior of the Nation Amulet, which sought to honour the contributions of King Taksin to Siam during his reign. The Na Nagara (also spelled Na Nakorn) family is descended in the direct male line from King Taksin. King Taksin the Great Shrine is located on Tha Luang Road in front of Camp Taksin. It is an important place of Chantaburi in order to demonstrate binding of People in Chanthaburi to King Taksin. It is a nine-sided building. The roof is a pointed helmet. Inside of this place enshrined the statue of King Taksin. In addition, Royal Thai Navy has used his name to HTMS Taksin, a modified version of the Chinese-made Type 053 frigate, for glorifying him. ^ a b ธำรงศักดิ์ อายุวัฒนะ. ราชสกุลจักรีวงศ์ และราชสกุลสมเด็จพระเจ้าตากสินมหาราช (in Thai). Bangkok: สำนักพิมพ์บรรณกิจ. p. 490. ISBN 974-222-648-2. ^ Woodside 1971, p. 8. ^ พระราชวรวงศ์เธอ กรมหมื่นพิทยาลงกรณ์. สามกรุง (in Thai). Bangkok: สำนักพิมพ์คลังวิทยา. pp. 54–58. ^ John Bowman. Columbia Chronologies of Asian History and Culture. Columbia University Press. p. 514. ISBN 0-231-11004-9. ^ "King Taksin's shrine". Royal Thai Navy. Archived from the original on July 2, 2010. Retrieved March 29, 2010. ^ "Art&Culture" (in Thai). Crma.ac.th. Archived from the original on June 22, 2009. Retrieved March 29, 2010. ^ Sunthorn Phu (2007). Nirat Phra Bart (นิราศพระบาท) (in Thai). Kong Toon (กองทุน). pp. 123–124. ISBN 978-974-482-064-8. ^ "Palaces in Bangkok". Mybangkokholiday.com.'.' Retrieved September 25, 2009. ^ Norman G. Owen. The Emergence Of Modern Southeast Asia. National University of Singapore Press. p. 94. ISBN 9971-69-328-3. ^ a b รัฐศาสตร์สาร ปีที่ 37 ฉบับที่ 2 (พฤษภาคม-สิงหาคม 2559). กรุงเทพฯ: โรงพิมพ์มหาวิทยาลัยธรรมศาสตร์. p. 1-23. ISBN 978-616-7308-25-8. ^ "The Emergence of the Kingdom of Thonburi in the Context of the Chinese Era 1727-1782, p. 20" (PDF). Archived from the original (PDF) on December 5, 2018. Retrieved December 11, 2018. ^ History of the Emerald Buddha. Bangkokmag.infothai.com'.' Retrieved October 6, 2009. ^ A Short History of China... Google Books. Retrieved March 29, 2010. ^ "The Madras Despatches, 1763–1764" (PDF). Archived from the original (PDF) on April 28, 2011. Retrieved March 29, 2010. ^ "400 years Thai-Dutch Relation: VOC in Judea, Kingdom of Siam". Archived from the original on April 28, 2011. Retrieved March 29, 2010. ^ Amolwan Kiriwat. Khon:Masked dance drama of the Thai Epic Ramakien Archived April 28, 2011, at the Wayback Machine.'.' Retrieved October 6, 2009. ^ Pattama Wattanapanich: The Study of the characteristics of the court dance drama in the reign of King Taksin the Great, 210 pp. ^ Sunthorn Na-rangsi. Administration of the Thai Sangha: past, present and future.'.' Retrieved October 6, 2009. ^ a b "乾隆实录卷之八百十七" (in Chinese). ^ Sarasin Viraphol, Tribute and Profit: Sino–Siamese Trade, 1652–1853 (Cambridge, Mass., 1977), p.144, citing a writing by King Mongkut, dated 1853, from the Thai National Library. ^ François Henri Turpin, History of the Kingdom of Siam, trans. B.O.Cartwright (Bangkok, 1908), pp. 178–179; original French ed., 1771. ^ Pimpraphai Pisalbutr (2001). Siam Chinese boat Chinese in Bangkok regend (in Thai). Nanmee Books. p. 93. ISBN 974-472-331-9. ^ Journal of M. Descourvieres, (Thonburi). Dec.21, 1782; in Launay, Histoire, p. 309. ^ Rough Guides. The Rough Guide to Southeast Asia. Rough Guides. p. 823. ISBN 1-85828-553-4. ^ a b Chris Baker; Pasuk Phongpaichit. A History of Ayutthaya. Cambridge University Press. p. 268. ISBN 978-1-107-19076-4. ^ a b Nidhi Eoseewong. (1986). Thai politics in the reign of the King of Thon Buri. Bangkok : Arts & Culture Publishing House. pp. 575. ^ Prida Sichalalai. (December 1982). "The last year of King Taksin the Great". Arts & Culture Magazine, (3, 2). ^ "see bottom of the page—item 7". Thailandsworld.com. Archived from the original on September 12, 2009. Retrieved March 29, 2010. ^ Gia-dinh-Thung-chi: Histoire et description de la basse Cochinchine (in French). p. 47–49. ^ ทศยศ กระหม่อมแก้ว. พระเจ้าตากฯ สิ้นพระชนม์ที่เมืองนคร (in Thai). Bangkok: สำนักพิมพ์ร่วมด้วยช่วยกัน. p. 176. ISBN 978-974-7303-62-9. ^ "清史稿 卷五百二十八 列传三百十五 属国三" (in Chinese). ^ 黄璧蕴. "中泰朝贡的终局" (in Chinese). ^ Donald K. Swearer (2004). Becoming the Buddha: The Ritual of Image. Princeton University Press. p. 235. ISBN 0691114358. ^ ojogabonitoo (March 31, 2009). "King Taksin the Great Shrine". Thaiattractions.blogspot.com. Retrieved March 29, 2010. Damrong Rajanubhab, Prince (1920). The Thais Fight the Burmese (in Thai). Matichon. ISBN 978-974-02-0177-9. Nidhi Eoseewong (2007). Commerce and Capitalism in Chinese Societies (in Thai). Matichon. ISBN 978-974-02-0177-9. Wikimedia Commons has media related to Taksin.